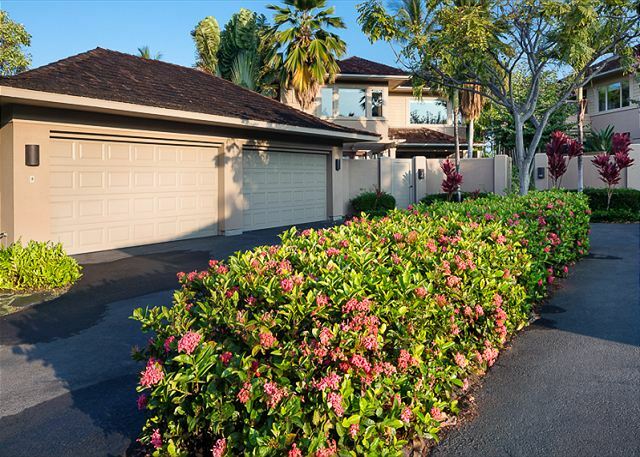 Fairway Villa 116D – Luxury Vacation Homes, Inc. 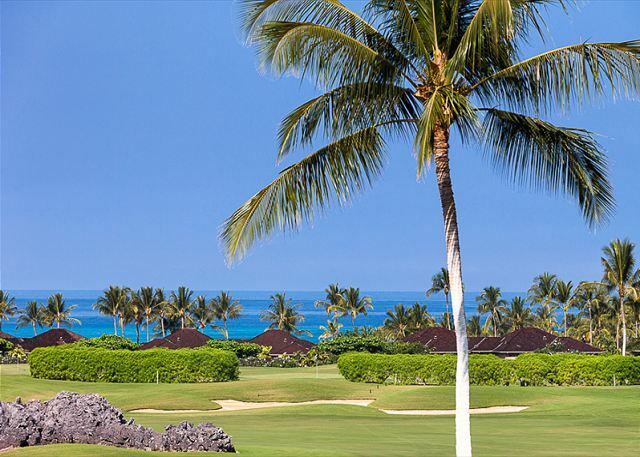 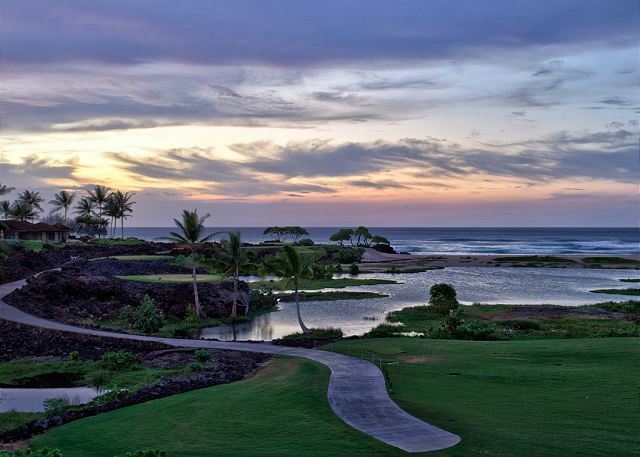 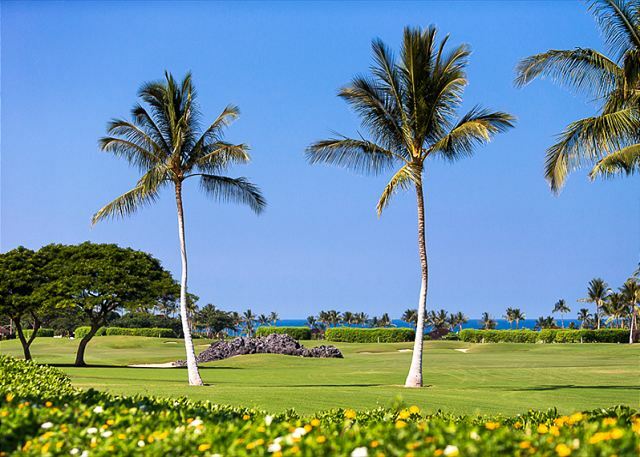 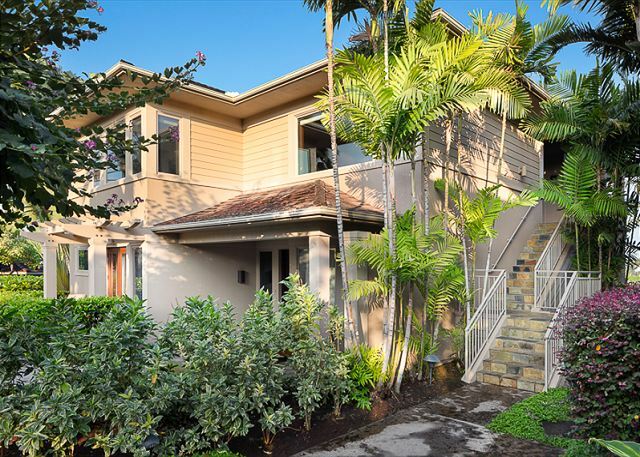 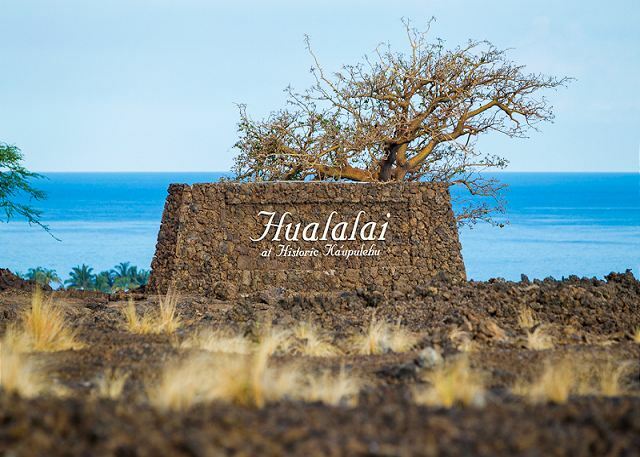 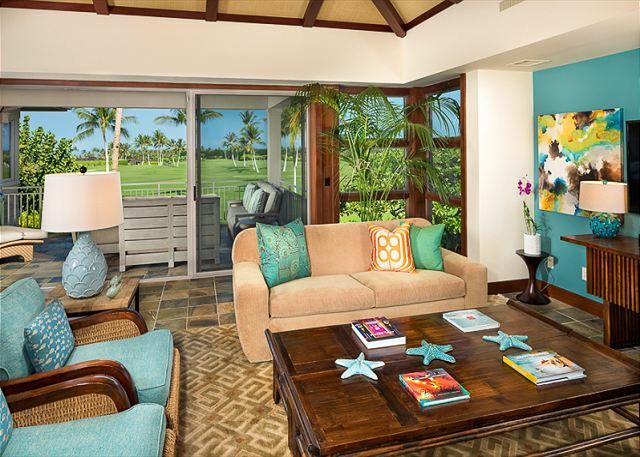 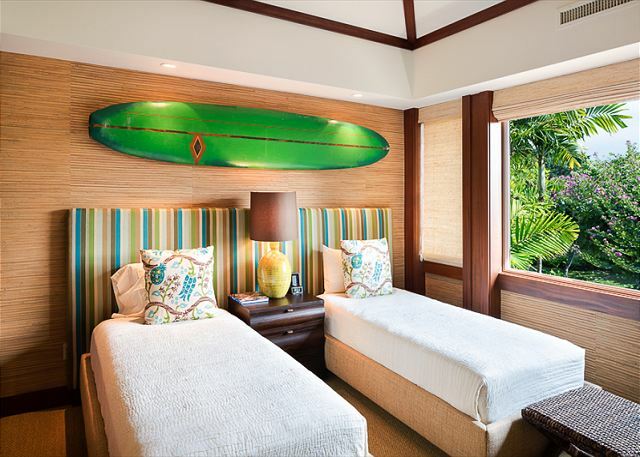 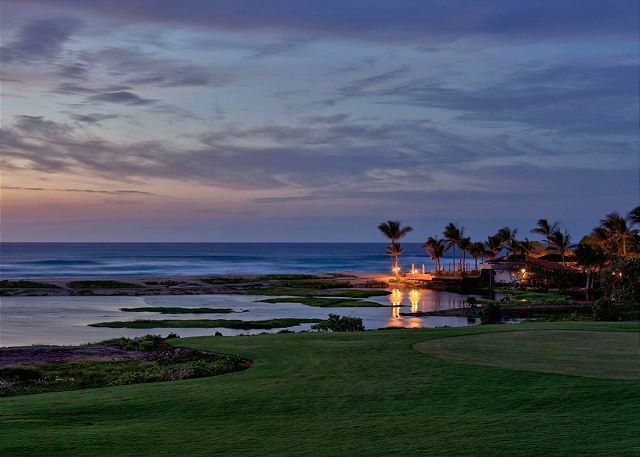 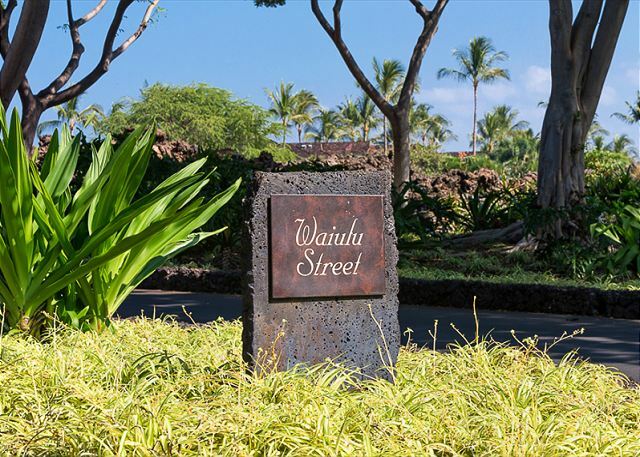 Located on popular Waiulu Street just three minutes by golf cart to the Four Seasons Resort Hualalai, this large three bedroom single-level villa offers views of the 15th hole of the Hualalai Golf Course and ocean beyond. 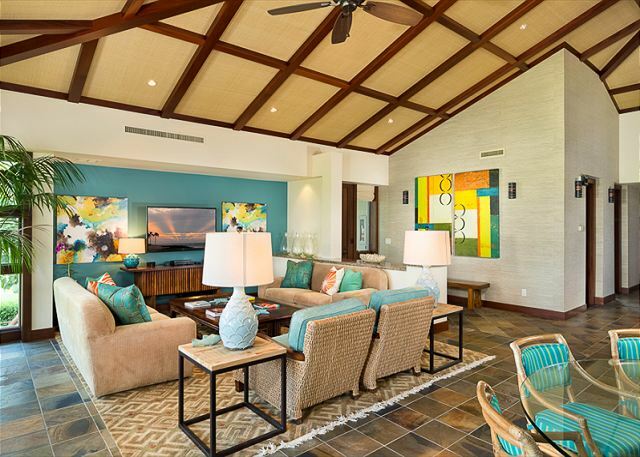 The villa is professionally designed and updated to include luxurious appointments and all the necessities to make your vacation memorable. 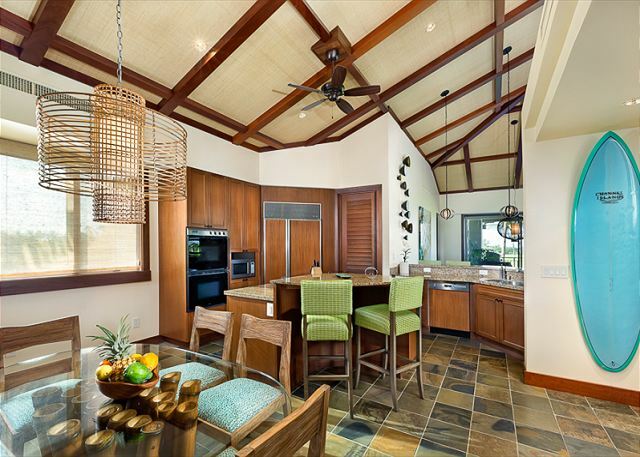 A stunning vaulted ceiling with custom wood frame design make this villa bright and airy providing a feeling of spaciousness throughout its more than 2700 square feet. 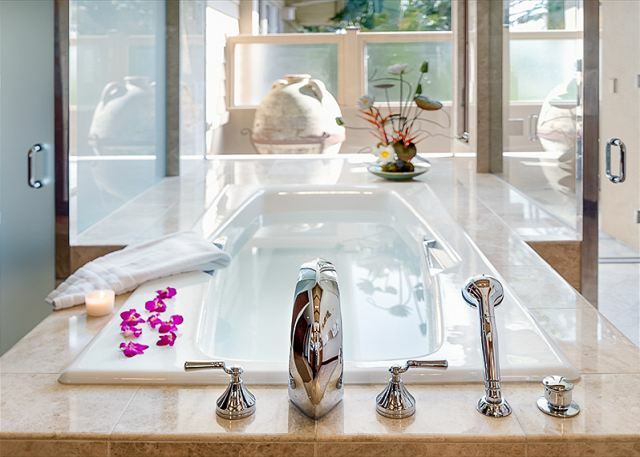 Classic “China Gold” slate floors provide a touch of elegance with contemporary accents. 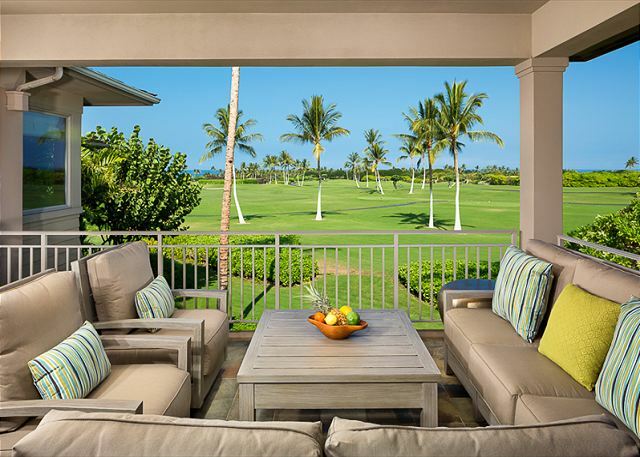 A large lanai provides ample room for outdoor dining while watching the sunset over the Pacific. 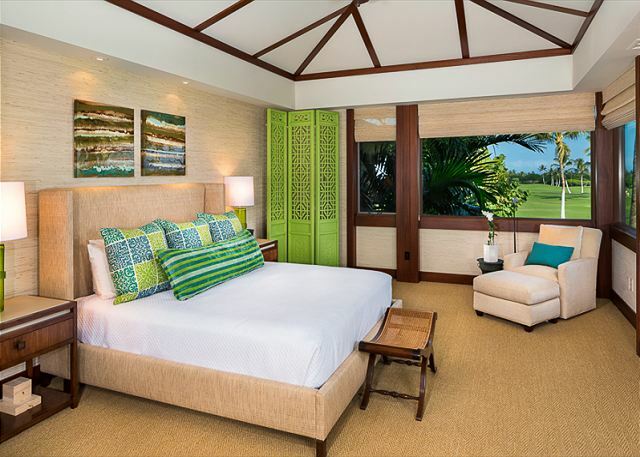 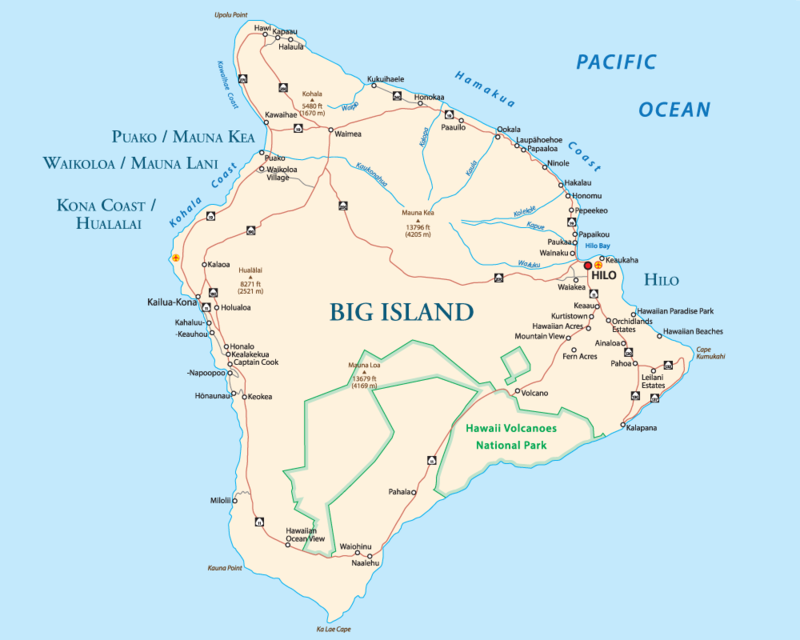 The villa is fully equipped with flat screen televisions, high speed wireless internet, fully stocked kitchen, luxurious linens and two golf carts for easy transportation around the Resort. 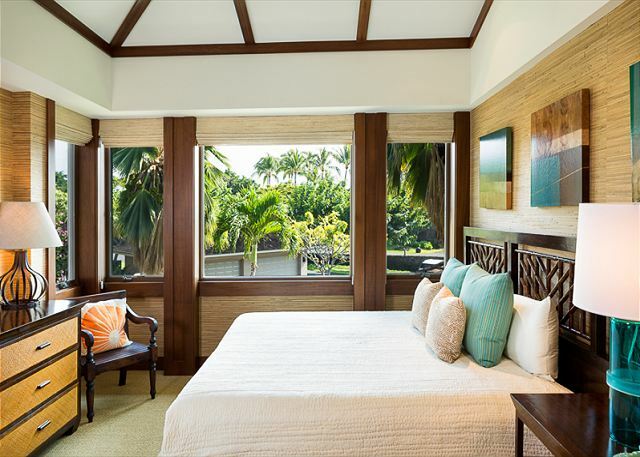 Bedding is flexible with King bedded Master, with 2 sets of extended twins in each guest room that can be converted to Kings. 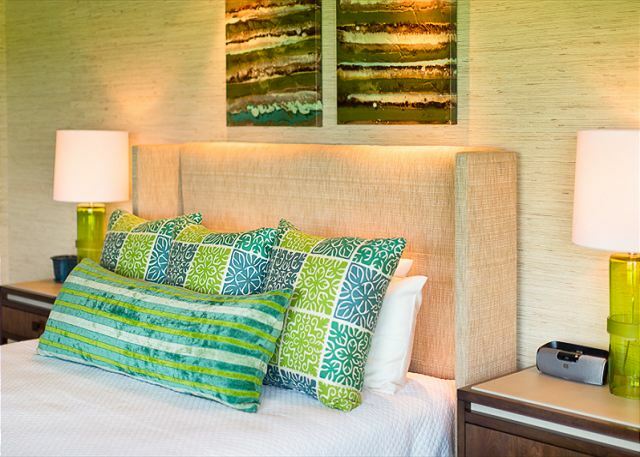 Great for up to 6 guests.